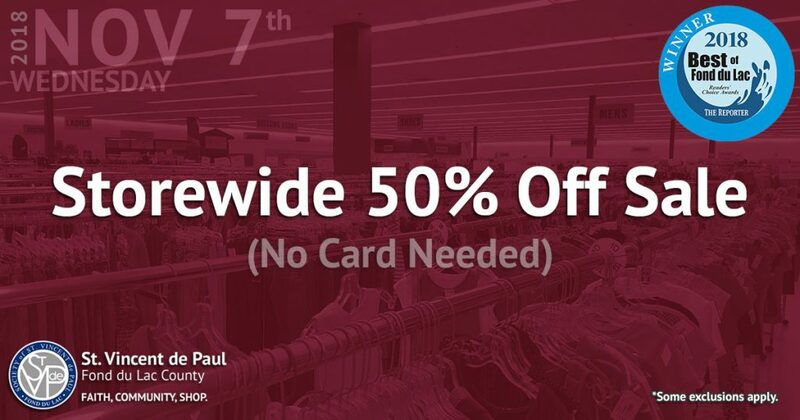 St Vincent de Paul – Fond du Lac, WI invites you to enjoy 50% OFF all merchandise* on Nov. 7th. SVDP has many high quality, affordable items in stock to choose from. Help us help others by saving and getting a head start on Holiday shopping!